Way back in the 1990s a group of musician pranksters called the KLF pranced across stages and charts declaring themselves The Ancients of Mu Mu. Most people thought they meant the baggy dress-like outfits preferred by the overweight and fill-in arts teachers. But it wasn't just one of the most interesting big-ups in hip hop at the time. 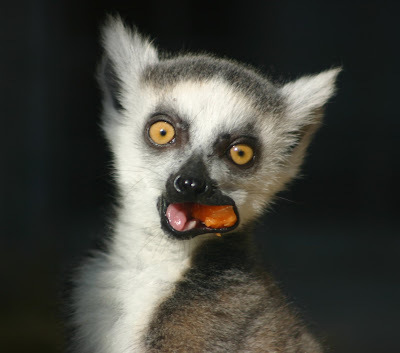 Mu was actually an abbreviation of Lemuria, a land created to explain the travels of the indescribably cute lemurs. Zoologist Philip Sclater couldn’t work out how fossils of the cuddly critters from Madagascar could end up in India, Malaysia and the Middle East without clocking up some serious frequent flyer miles. In 1864 he came up with a solution: a continent that must have once joined these separate continents, so lemurs scurried overland until Lemuria sunk into the ocean. It became Atlantis for baby ewoks. With the benefit of theories like continental drift, the fossils are easily explained and the disappeared landmass seems hokum, but the idea held water until well into the 19th century. Some thought that the sunken continent hid the ‘missing link’ between humans and apes. Wilder theories stretched the underwater continent so it covered most of the Pacific and islands discovered there were just peaks of mountain villages from a much bigger civilisation. Could Pacific Islanders be survivors from an earlier and weirder society? The smidge of evidence was more than enough to excite slightly nutty occultists. The mysterious Madame Helena Blavatsky claimed to have seen a fantastical book that explained it all. According to Blavatsky, Lemurians weren’t cuddly, but seven foot tall reptilian creatures who once had the earth to themselves until the meddling gods created mammals. When Lemurians began interbreeding with mammals the cranky gods sunk the continent as punishment for their inter-species randyness. Or was it that the ‘dragon men’ had started playing with black magic that threatened the gods themselves? Madame Blavatsky changed the story to keep selling new Lemurian books. Some folks just couldn’t let the Lemurians go. In 1894 Frederick Spencer Oliver wrote a book A Dweller on Two Planets that said the Lemurians moved among us and appeared through a series of tunnels beneath California’s Mount Shasta wearing white robes – a little like those favoured by the KLF or maybe actual muumuus originally worn in Hawaii. Later fabulists decided that Lemurians were aliens or humans modified by aliens. But to get to Lemuria today you won’t need a snorkel. Easter Island’s moai have long been seen as evidence of another civilisation or an alien drive-bys. Further west in the Pacific, Nan Madol on the isle of Pohnpei makes a better case for a submarine civilization. Called the Venice of the Pacific, it’s a series of artificial islands complete with megaliths and downright spooky temple-like structures. Rumours of an escape tunnel under the island’s reef into the ocean fuelled speculation that residents may have been amphibians who fled as men approached. Most of the ruins only date back as far as the 12th century but the imaginative can still perceive a lost kingdom there. Geeks have kept the idea of the lost Lemuria alive. The continent survived in the imagination of HP Lovecraft and made cameos in comics like Namor the Sub-Mariner and Hellboy. It was even mentioned in the voiceover introduction to the original 1978 Battlestar Galactica TV series. And then there was the KLF. At the end of the video for Justified and Ancient the dance music pioneers board a submarine to head to off to the mythical land. So if you get there you can be assured of an awesome soundtrack. Image courtesy of Ammanuel Faivre via Wikicommons. Book the tickets and I'm there, Lisa. I'm pottering around with this idea of impossible travel - places you can never go to. At least these destinations won't disappoint. Great idea - I would love to read about Lemuria in a more detailed way. how do you know this stuff Mr HP?! Great story. By the way, did you know if you inject an axolotl with iodine it becomes a proper salamander? Hoping to see you in Melbourne soon. Whoah you are attracting some really nutty ads from that Lemuria post. Good news on the axolotl, Bridge, as I have way too much iodine laying around the house. And yes, anon, the ads did go a little wonky with Lemuria there for a while. Shake out your mu-mu sounds like an invitation to dance - I like it! Am thinking of doing a few more of these impossible travel pieces - I'm interested in fictional places too. Great ! I am a big fan of the 90ties sounds and specially the KLF. never new this story my compliments for the great research and where to get the ticket to MU MU Land ? Not sure if I can Mu, Errol, but glad there are still a few fans still around.